When you’re shopping for hazmat storage containers, we understand that it can be overwhelming. There are so many factors to consider, so many approvals to attain. At U.S. Chemical Storage, our aim is to help you streamline the process and deliver you the highest quality hazmat storage containers in the industry. 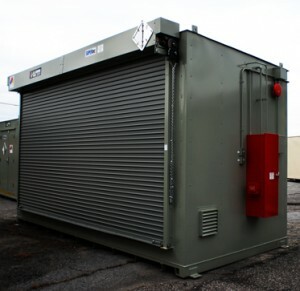 Our experienced engineers provide unmatched support as they construct your hand-welded hazmat storage containers, so your buying and designing process is comfortable and efficient. Our hazmat storage containers are pre-approved by FM Global and Warnock Hersey, facilitating the process ensuring you the safest hazmat storage containers with unbeatable performance. Our approvals are recognized by OSHA and promise quality construction. Our custom hazmat storage containers are built according to your specifications and designed to be compliant with government regulations. The safest storage practices adhere to federal, state, and local regulations. At U.S. Chemical Storage, we ensure compliant engineering for your hazmat storage. However, once you are ready to use your hazmat storage containers, compliance is in your hands. You can maintain compliance by studying federal, state, and local regulations, which are usually available for free on the web. After you’ve gotten your hazmat storage containers, the easiest way to maintain compliance is to practice common sense and maintain a safe environment within your facility. Some safety practices, however, are not commonly known or understood. Things like knowing what hazardous materials are incompatible and should be separated, and the proper climate to maintain your hazmat inventory. Your hazmat storage containers should be designed to facilitate safe storage practices, helping you achieve these specifications with accessories such as climate control, partition walls, and personal safety accessories. The best way to customize your hazmat storage containers is to know the characteristics and hazards of your hazmat inventory. When in doubt, consult a material safety data sheet (MSDS) or safety data sheet (SDS), and laws pertaining to your hazardous materials. As always, U.S. Chemical Storage is here to help you select and design the hazmat storage containers to suit your needs.